You are here: Home>What we do>Training & Consultancy>Creative IT Course>Judith - Lace Making in Olney. Lace making was brought over to England by Flemish Protestants in the 1560’s. A second wave of lace makers left Lille, France in the 1570’s. Most of the materials needed for Lace Making were found locally. 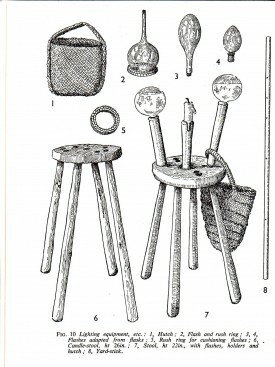 You needed a square or bolster pillow stuffed with straw, brass pins, bobbins made from bone or wood, beads and wire to weight the bobbins. The most expensive material was the cotton or linen threads which were imported from the continent. Whole families would supplement their income by lace making. At the height of the trade you could earn one shilling a day which was more than an agricultural worker could earn. Although you would work long days of 10 or 12 hours in poor conditions and by candle light or if lucky by flash-stool or candle block. Some children went to Lace School to learn how to make lace and earn a little money. They were taught “Tells” which were rhymes chanted by the children to help keep a rhythm and stop them getting too bored. 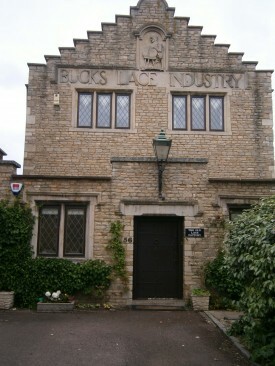 The Olney Lace factory was built in the early 1900’s. Lace was produced by outworkers in local villages and then was made into handkerchiefs and table linen in the factory. It is no longer a factory and has been split into several apartments. A couple acts of parliament (The Education Act of 1870 – giving free, compulsory education to children up to the age of 13 and the Workshop Act – restricting hours worked) and competition from machine and foreign lace killed off this industry by the late 19th century. There is still lace making in Olney today. 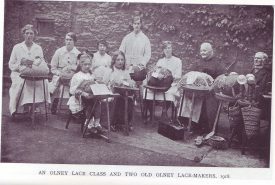 There is an Olney Lace Circle where you can learn to make any of the different types of lace: Torchon, Bedfordshire, Buckinghamshire, Nottingham, Honiton, Bruges or Maltese. 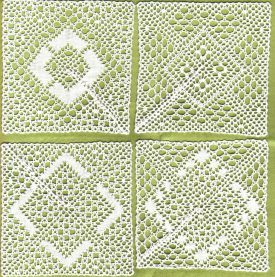 There are a variety of lace stitches to learn including half stitch, whole stitch, spiders, half stitch rose ground, Scandinavian holes, gimps, tallies, leaves, plaits and picots.